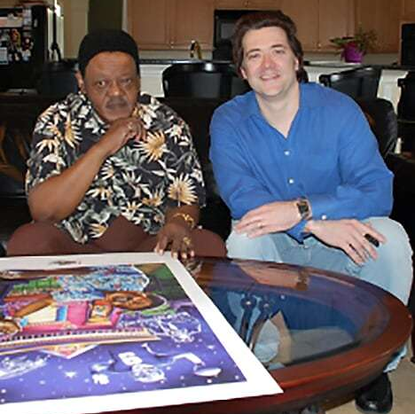 Each, personally and individually hand-signed by the legendary Fats Domino along with Artist Michael Hunt. 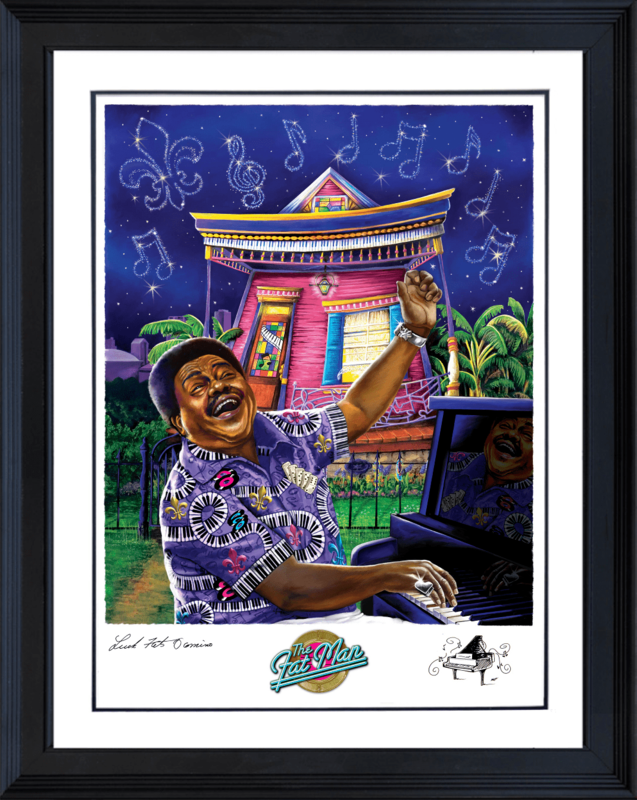 Each Artist Proof features a Gold stamped record at the base of the print. 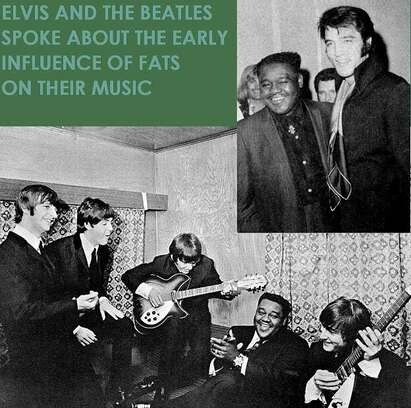 Within the art Fats is wearing a different color shirt. Elaborate multi-dimensional accents are featured throughout the art as well including jewels and rhinestones! Each print also features a hand drawn remarque done by the artist. No two will be the same. Artist proof edition framed as shown $2000.